Not sure how to clean your makeup tools, or even when to replace them? Here’s the low-down on keeping your collection in tip-top condition. There is no hard and fast rule as to how often you should clean your makeup brushes, but obviously it is wise to clean them once in awhile (or every 2 weeks, if you use them on a daily basis). Ain’t nobody got time for acne-causing bacteria yo. If you really don’t have the time to (or are just plain lazy *stares*), then get a disinfectant spray to clean your brushes in between uses. Try the Sephora Collection Daily Brush Cleaner, which can be sprayed on your brushes to disinfect the bristles. First things first, get yourself a brush cleaning pad. Seriously. You don’t even have to buy the expensive one from Sigma Beauty – there are plenty of cheaper alternatives on Qoo10, Taobao and Sasa. A brush cleaning pad is far more effective than swirling the brushes on your palm, because it has little ridges which really help to get in between the bristles. Once you are done cleaning your brushes, towel them off gently. 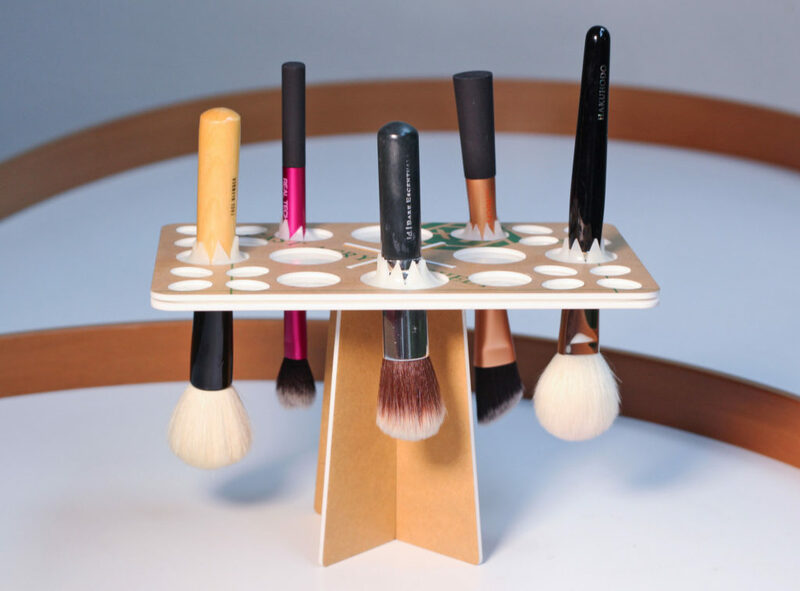 Now here comes the important part – never, ever dry your brushes in an upright position. Seriously guys, it’s like the worst crime you can commit in the makeup brush cleaning world. Drying your brushes in an upright position will allow the water in your brushes to seep into the ferrule (because, gravity) and weaken the glue at the bristles. It’s best to dry them upside down, or at the very least, flat on a towel. 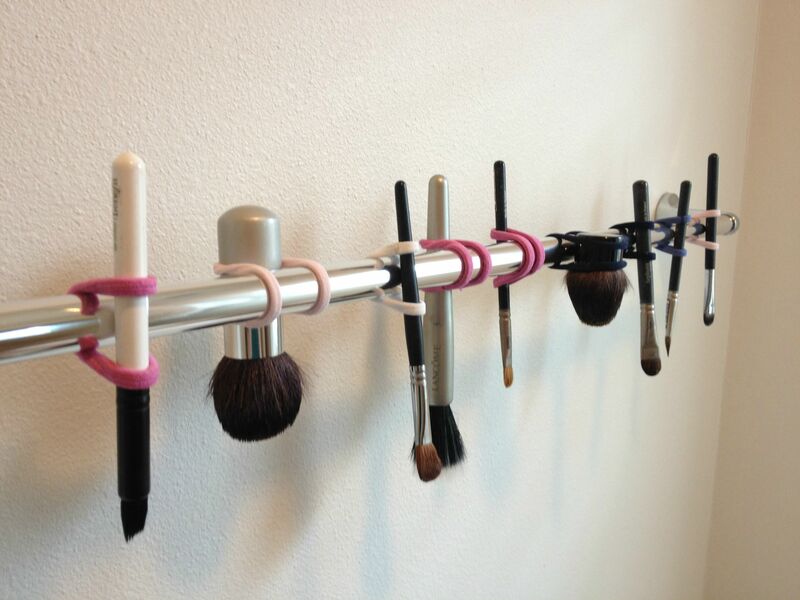 Again, you can get inexpensive brush drying racks from Qoo10 and Taobao, or DIY it with this shower rack method. If you don’t use your makeup brushes on a regular basis (or are bringing them on a trip), it’s best to use a brush guard to protect them. The brush guard prevents the bristles from getting bent out of shape, and you can easily get inexpensive ones from Qoo10 or Taobao. I know, I know – the audacity to even suggest throwing out your precious makeup brushes – but hear me out on this. 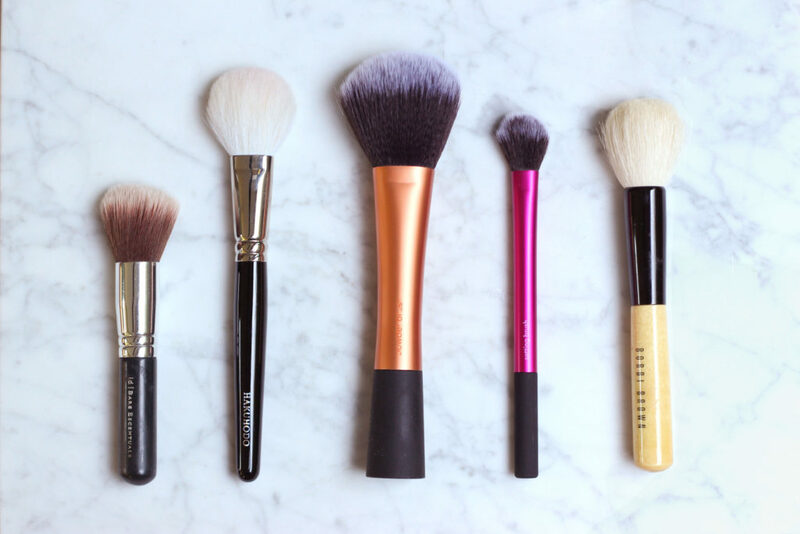 Whether you use them regularly or not, makeup brushes tend to accumulate bacteria within the bristles – so if your brush is still dirty even after a good wash, then come on, you know it’s time to bid it goodbye. 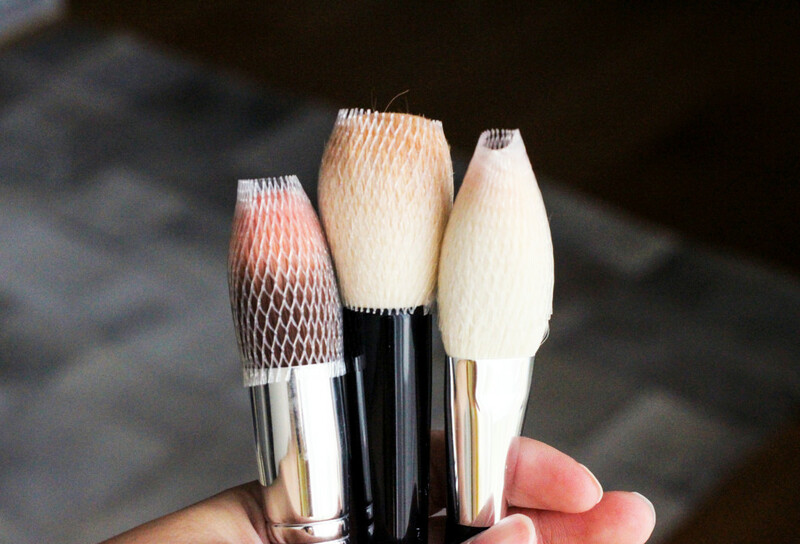 Most makeup brushes typically need to be replaced after two years or so, but brushes for cream products should be replaced after a year (if used often). Cream products tend to stick to the bristles more easily (as opposed to powder products), so they are harder to clean properly. If you notice that your brush has started to shed at an alarming rate, chuck it out too. It will hurt and you will have plenty of regrets, but really, it’s only for your own good. Do you want a brush full of bacteria touching your face? No? Good, then just be heartless and do it. Makeup sponges and puffs should ideally be cleaned after every use, but we all know that hardly anyone is diligent enough to do that (right?). At the very least, try to give your makeup sponges and puffs a thorough cleansing once a week – especially if you use them heavily or on a daily basis. That stuff breeds germs, you know. There are several different methods to clean makeup sponges and puffs, but the most basic (and quickest) technique is to run it under warm water. Soak the sponge/puff in a warm and soapy solution (micellar water works too, but use a cheaper brand obviously, not your precious Bioderma) to break up the makeup particles. Squeeze a few times, then spot clean the areas with visible stains. Rinse again then squeeze out as much excess water as you can. For stubborn stains, try scrubbing the sponge on a bar of soap. Dry the damp makeup sponges and puffs on a clean paper towel (or regular towel) in an open, airy space. Storage for makeup sponges is pretty straightforward – just avoid keeping them in a tightly-enclosed case or pouch, as that might encourage bacteria to grow. For makeup puffs, storing them with their respective compacts or BB cushion compacts should be sufficient. 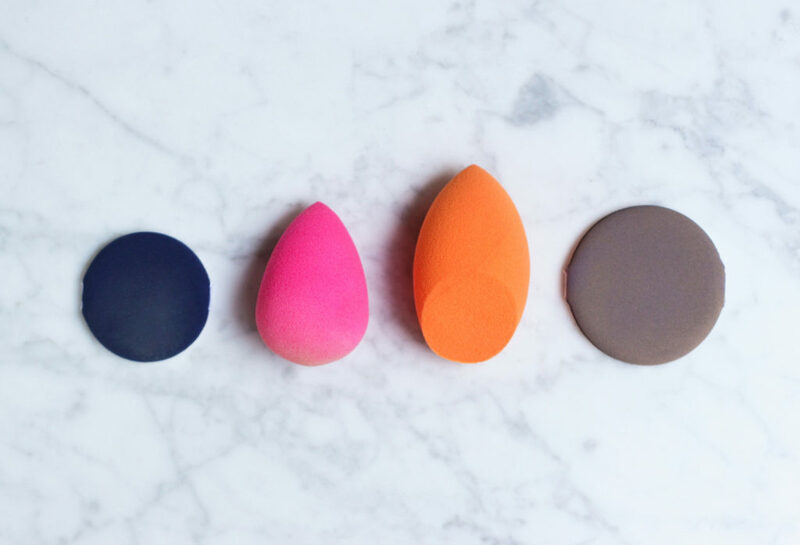 It’s best to switch out your makeup sponges and puffs after 3 to 4 months of daily use, but if you can’t bear to throw out your beloved Beautyblender (I feel ya), try this hack. 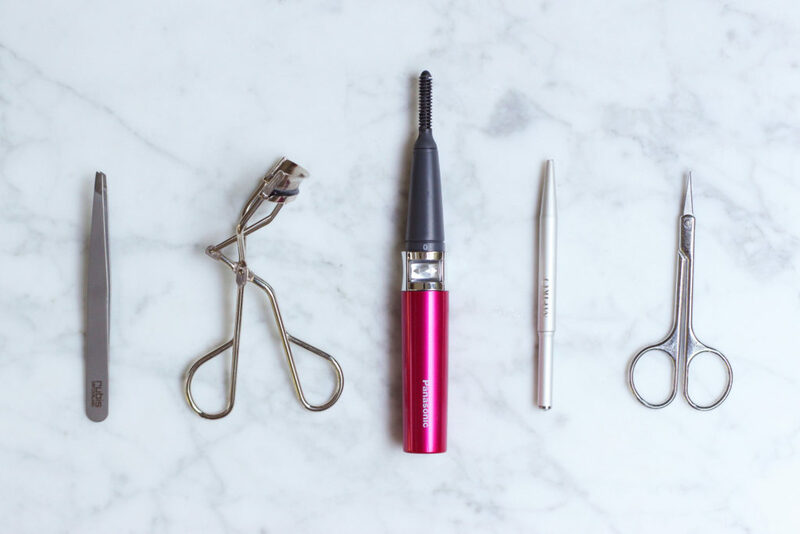 Eyelash curlers, tweezers, pimple poppers…yup, we’re talking about you. Metal tools as such should ideally be cleaned once every two weeks (or more often if you use them on a daily basis). Wipe off excess makeup with a clean tissue, then use an alcohol swab to get the stubborn stains out. Wash off the residue with antibacterial soap and warm water. 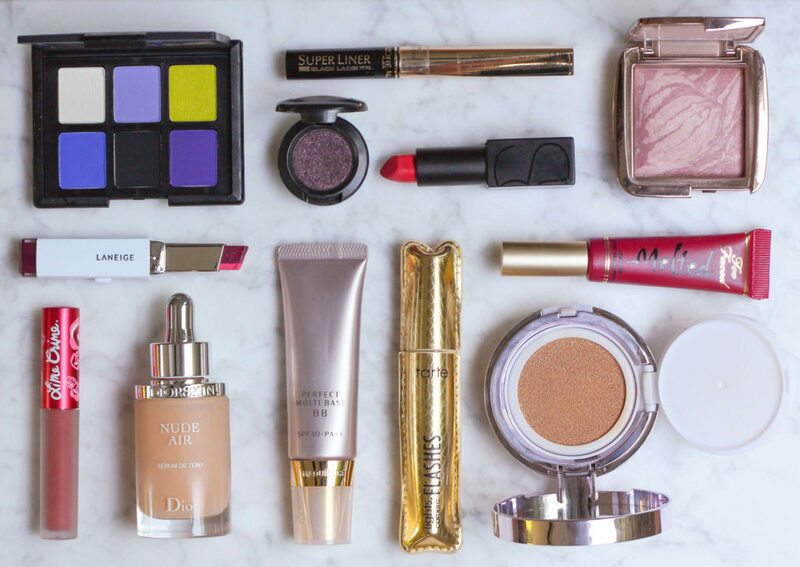 As much as it may pain you to throw out some of your favourite makeup products, you have to. You must. Trust me, it’s for the greater good. And by greater good, I mean not giving yourself a breakout by putting expired gunk on your face. Most makeup products have an expiry date printed on the packaging, but certain products should be discarded within a certain period once opened. Some products also have a Period-After-Opening (PAO) number, which indicates how long it is good for after it has been opened (i.e. ‘6M’ means that the product should be discarded 6 months after opening). Mascara 3 months It has a weird chemical/alcoholic smell, or the mascara has started to flake. Liquid Eye Liner 3 months When it’s so dried out that you can’t even draw a single, continuous line. Please guys, please. Eyeshadow (Powder) 2 years When the compact has started to flake and/or smells rancid. Do you really want to put that stuff on your eyes? Lipstick 1 – 2 years If the texture feels waxy or too dry, if it has a weird smell, or if small beads have started to form on the surface (because, yuck). Liquid Lipstick 2 years If the formula has separated or coagulated. Foundation (Powder) 2 years If the compact has started to chip or get lumpy. Foundation/Concealer (Cream) 1 – 1.5 years If the texture or colour has changed, or you notice lumps in the product. Foundation/Concealer (Liquid) 6 months – 1 year If the formula has separated or coagulated. Blusher/Highlighter/Bronzer (Powder) 2 years If the compact has started to chip or get lumpy. Blusher/Highlighter/Bronzer (Cream) 1 – 1.5 years If the texture has changed, or you notice lumps in the product. 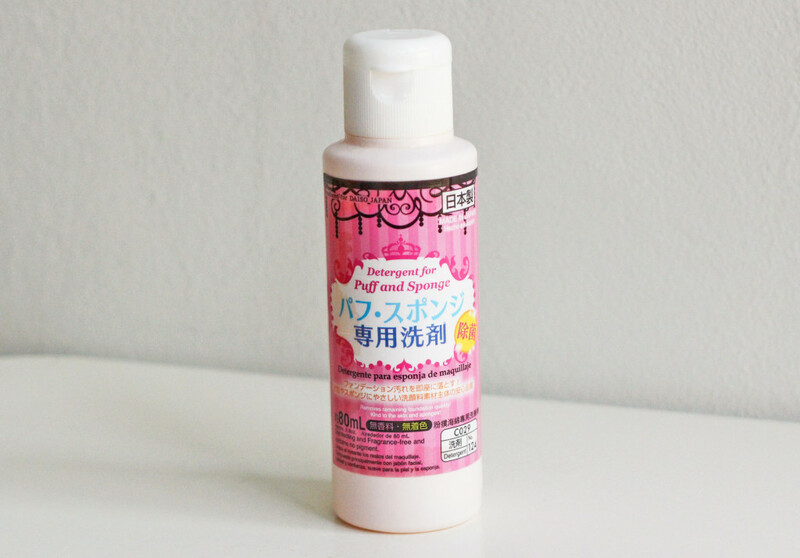 Blusher (Liquid) 6 months – 1 year If the formula has separated or coagulated. Nail Polish 2 years If the formula remains separated even after shaking. Also, if it has a lumpy texture when applied. Perfume 3 – 5 years If the liquid has changed in colour, or smells more like insecticide than perfume. Backup insect repellent anyone?